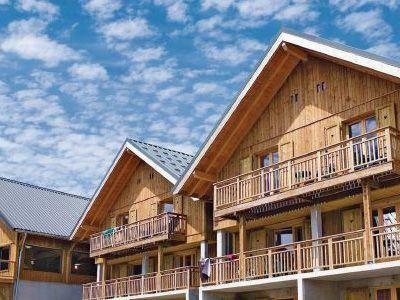 Beautiful 2 bedroom holiday home to comfortably sleep up to 6 near Chambery, Alps. Ideal for a family holiday, this self catering home offers a shared pool area that's ideal for the kids and has everything to make your holiday unforgettable! On site parking. Restaurant nearby. Pets not accepted. Located within the village, this holiday apartment is located within a complex, and is equipped with a shared indoor swimming pool (6m x 12m, open Apr-Oct) and sauna. It is located in the Bauges National Park, which enjoys the most beautiful views, and is ideal for hiking, mountain and river activities. Mont Blanc and all the summits of the Alps are revealed in all their glory while the Lac du Bourget is a great place to relax. In summer, the 140km of cross country skiing is turned into mountain biking, walking and horse riding trails. Other activities include rock climbing, paragliding, hang gliding, caving, tennis and archery. Shop and restaurant 100m. Lounge/kitchen/diner, bathroom with basin (no toilet), separate toilet, 2 twin bedrooms, 2 single beds in lounge. Dishwasher, microwave, shared grounds, balcony, indoor swimming pool (shared, 6m x 12m, open Apr-Oct), off road parking for 1 car. Sorry, no pets. NB: Turning, open-tread stairs to first floor. Beautiful 2 bedroom holiday home to comfortably sleep up to 6 near Chambery, Alps. Ideal for a family holiday, this self catering home offers a shared pool area that\'s ideal for the kids and has everything to make your holiday unforgettable! On site parking. Restaurant nearby. Pets not accepted.